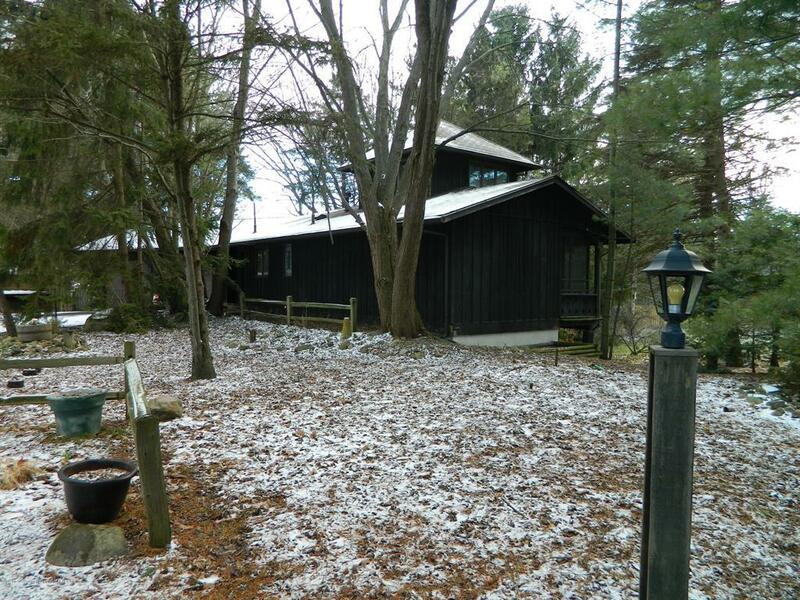 WINTER WONDERLAND... SET AMONGST TOWERING PINES, THIS HAMILL BUILT ROUGH SAWN RANCH IS ONE OF A KIND, ORIGINAL OWNERS,SECLUDED AND PRIVATE ON 1.6 ACRES, YET CLOSE TO TOWN. THERE'S A CUPOLA, A REAL MAN CAVE AND A CIRCULAR MASTER BEDROOM. FULL FINISHED WALKOUT LOWER LEVEL WITH 2 BEDROOMS, FULL BATH, FAMILY ROOM AND A SMALL 2ND KITCHEN, THE CUPOLA FEATURES A BAY WINDOW, HARDWOOD FLOORING, ELECTRIC BASEBOARD AUX. HEAT AND A VIEW OVER LOOKING THE GROUNDS, RELAX, READ A BOOK, GREAT OFFICE AREA OR HOBBY ROOM. LET THE VIEW AND SUNSHINE INSPIRE YOU INNER STRENGTHS.MAN CAVE IS ONE STALL OF 2 CAR GARAGE, CAN EASILY BE CONVERTED BACK. COME ENJOY THE NORTHERN MICHIGAN FEELING.